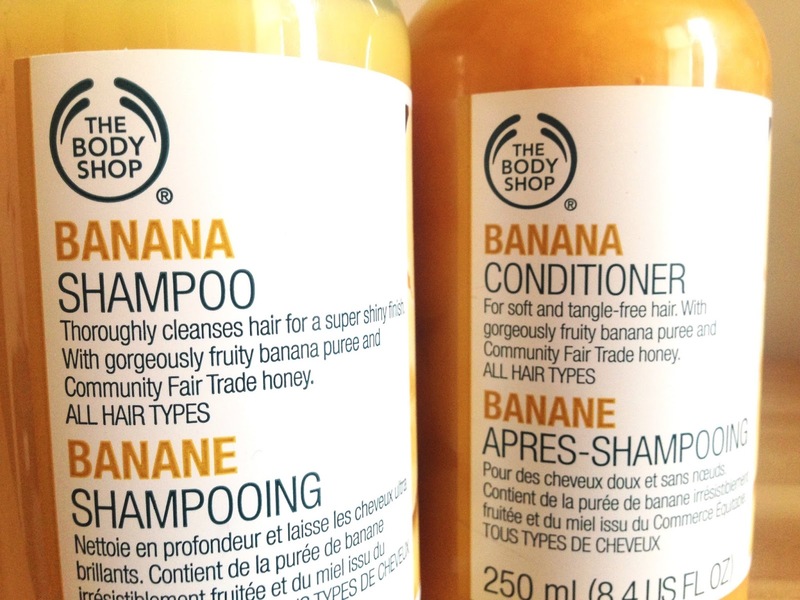 Ais Mc: Body Shop Sundays: Banana Shampoo & Conditioner. 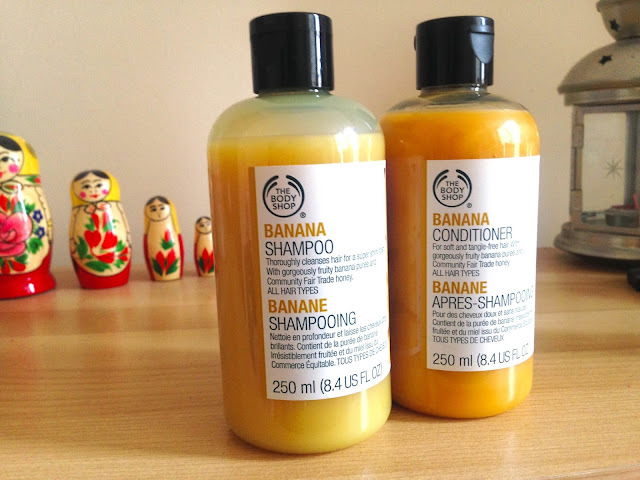 Body Shop Sundays: Banana Shampoo & Conditioner. Hair care is something that I often gloss over both here on the blog and in my life. I've always just got by using any old shampoo and conditioner that was on offer in Boots. But, having been completely won over by The Body Shop's skincare, I decided to give the haircare proper go. (I have used one hair mask a lifetime ago - you can read how that went down HERE.) Of the haircare on offer I decided to try out the Banana Shampoo & Conditioner, mainly because it smells incredible but also because it claimed to leave hair soft and shiny; something I struggle with due to the vast amount of bleach that has built up in it over the years.